Community property trusts can save your family tens of thousands of dollars in capital gains taxes, and that’s just one of their many benefits. This lesser-known strategy isn’t right for everyone, but for households that can make the most of it, it’s a planning tactic that could have a huge impact on keeping more of the value of your estate in the family. • Community property: Assets a married couple acquires by joint effort during marriage if they live in one of the nine community property states: Arizona, California, Idaho, Louisiana, Nevada, New Mexico, Texas, Washington, and Wisconsin. • Community property trust: A special type of joint revocable trust designed for couples who own low-basis assets, enabling them to take advantage of a double step-up (more on this below). Tennessee or Alaska are the two places you can form these trusts. Note: Differentiating between community property states and states in which these special community property trusts can be created can be a bit tricky. 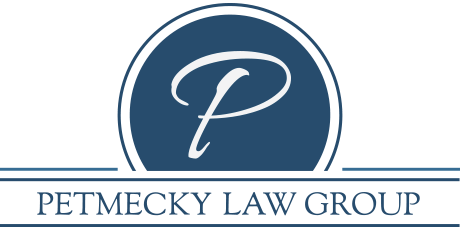 To put it simply, assets acquired jointly during marriage within those nine states are automatically considered community property. However, in Tennessee and Alaska, creating a special trust called a community property trust can effectively opt you into the same benefits that couples automatically enjoy in those nine states, even if you don’t live in Tennessee or Alaska. But how do you know if your assets acquired jointly during marriage are low-basis, and what is a double step-up? Unpacking these two terms is also necessary before we can get into figuring out whether a community property trust is a right strategy for you. • Basis: Typically, this is what you paid for an asset, although it can sometimes be different for property that was given to you as a gift, rental property, or small business interests such as S Corporations or partnerships. Regardless of how you determine basis, it is important to know because it is used to determine gain or loss for income tax purposes. • Stepped-up basis: Assets are given a new basis when transferred by inheritance (through a will or trust) and are revalued as of the date of the owner’s death. If an asset has appreciated above its basis (what the original owner paid for it), the new basis is called a stepped-up basis. A stepped-up basis essentially wipes out the capital gains bill that would otherwise be owed and can save a considerable amount of capital gains tax when an asset is sold by the new owner. For jointly owned property, most married couples receive a step-up in basis for one-half of the value of the property. • Double step-up: For community property, the entire value of the property gets a basis adjustment step-up when one of the spouses dies, rather than only one-half of the property; hence the term double step-up. This double step-up allows a surviving spouse to reduce or even potentially eliminate his or her capital gains tax liability. The value of the commercial property had appreciated greatly since the time they bought it. They kept the property up-to-date and were able to lease it to quality tenants, contributing to the value of the building. Because of the increase in value, Sophia and Max’s basis was low compared to the current value. If either spouse passed away and the surviving spouse opted to sell the property, a significant portion of the sales profit would be lost to capital gains taxation, as you can see from the example below. Sophia and Max met with their estate planning attorney and learned that they could create a community property trust. The commercial property became one of the assets managed by the trust. Upon Max’s death, the basis of the entire property is stepped up to its current market value. Without the community property trust, only Max’s half of the property would have received a step-up. But with the trust, both Max and Sophia’s halves are stepped up, saving a considerable amount of income taxes. As a result, Sophia can sell the property to diversify with potentially no capital gains tax payment. Now when Sophia decides to sell the property, the capital gains tax will only be drawn from the appreciated value since Max’s death, which if the sale is consummated quickly enough will be minimal or even zero. As you can see in the example above, Sophia saves $113,050 in capital gains taxes when she and Max use a community property trust rather than joint ownership. This applies to all the community property managed under the trust, leaving Sophia with significantly more money to make the most of her golden years and pass along to her children, charities, or other intended beneficiaries. Community property trusts are one strategy, but they necessarily fit everyone’s circumstances. It’s appropriate for married clients that have low basis assets that they’re comfortable holding onto until one of them dies. There are lots of other strategies to talk about, too. Call us to discuss your goals, and we’ll work together to keep the wealth you’ve worked so hard for within your family for generations to come.